Monday 796,000, Tuesday 733,000, Wednesday 682,000. My Kitchen Rules took the contestants to Melbourne to the instant restaurant set up by Roula and Rachael. Their House of Flava didn’t live up to its name with disastrous entrees. They recovered for the main course but dessert dropped away to see them at the bottom of the rankings so far with a score of 62. Monday 1.09m, Tuesday 1.01m, Wednesday 1.07m. The Seven News special on the Beaumont Children followed with Michael Usher hosting and Mark Llewellyn driving behind the scenes. The special did great business with 797,000 MKR. Seven then screened its second Grammy event in three days with Grammy’s Greatest Stories: A 60th Anniversary Special with 220,000 watching. A special event on A Current Affair as the show recalled the exclusive that a very young Martin King had 25 years ago – his interview with cult leader David Koresh. The episode won its timeslot again with 785,000. 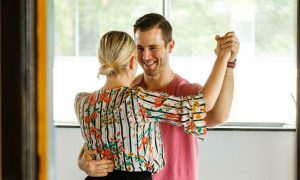 More strangers then tied the knot on Married At First Sight with brutal honesty – or as brutal and honest as you get on reality TV. The couple included Instagram model and businesswoman Davina and a tradie called Ryan. Monday 912,000, Tuesday 907,000, Wednesday 929,000. 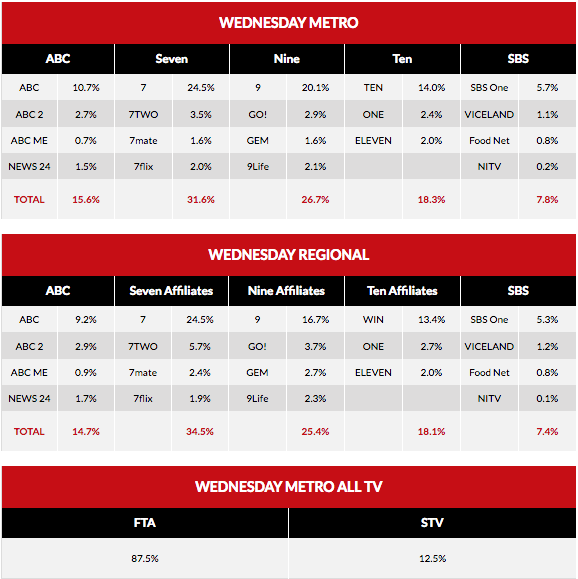 Like MKR, these two reality franchises have enjoyed very stable weeks. A movie wrapped up primetime with 306,000 watching Tina Fey and Amy Poehler in 2015’s Sisters. Highlight of The Project was a long exit interview with Bernard Tomic from the jungle in South Africa. The tennis player seemed to handle his early exit from another big event without too much concern despite lots of questioning about his mental state. The show ended just as the panel was discussing his behaviour with Waleed Aly noting it was hard to assess from a distance exactly what is going on with Tomic. The episode started with 361,000 and grew to 611,000 after 7pm. I’m A Celebrity…Get Me Out Of Here carried on without its biggest celebrity on the day christened Horrifying Hump Day. The program also confirmed that Danny Green would be sent into camp on Sunday’s episode. With no Tomic, Anthony Mundine stepped up and delivered some insights about his confrontations with racism during his life. Sunday 1.27m and 1.10m, Monday 859,000, Tuesday 852,000, Wednesday 782,000. The channel then screened its first episode of Tommy Little hosting a special on the 2017 Montreal Comedy Festival recorded back in July. 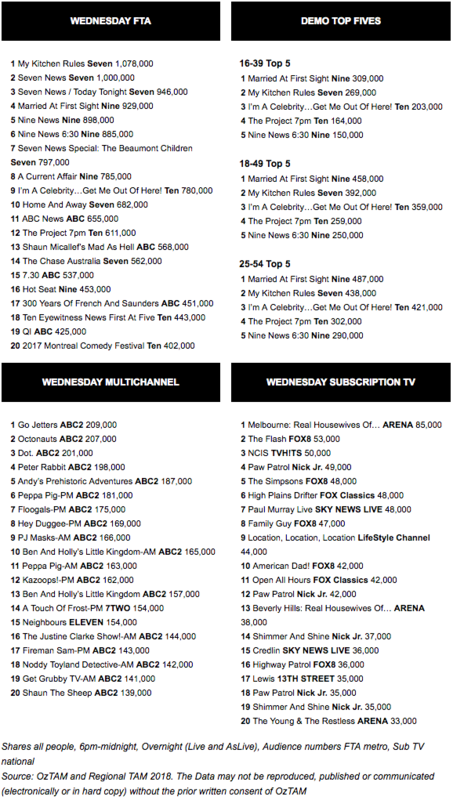 Aussies performing include Wil Anderson and Carl Barron with 402,000 watching. Comedian Bill Bailey was one of the guests on QI at 8pm with 425,000 watching. 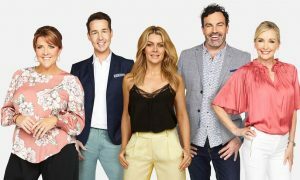 Shaun Micallef’s Mad As Hell returned at 8.30pm with 568,000. The recent UK New Year’s special 300 Years of French and Saunders was a mix of old and new and featured some funny cameos including Joanna Lumley. Highlights included Dawn French as Kim Karcrashian and both comedians on the (real) set of Poldark interacting with the real-life actors portraying Demelza and George. There was also a special film version of The Handmaid’s Tale. The special did 451,000 after 9pm. The start of series 13 of Adam Hills: The Last Leg followed with another guest appearance of David Tennant for the 224,000 watching. Episode five of World’s Greatest Bridges was in France with 291,000 watching. Episode one of Russia with Simon Reeve followed with 278,000 and then the final of this season of Vikings did 188,000.